Imagine the freedom of a farm holiday in the idyllic Limousin countryside. 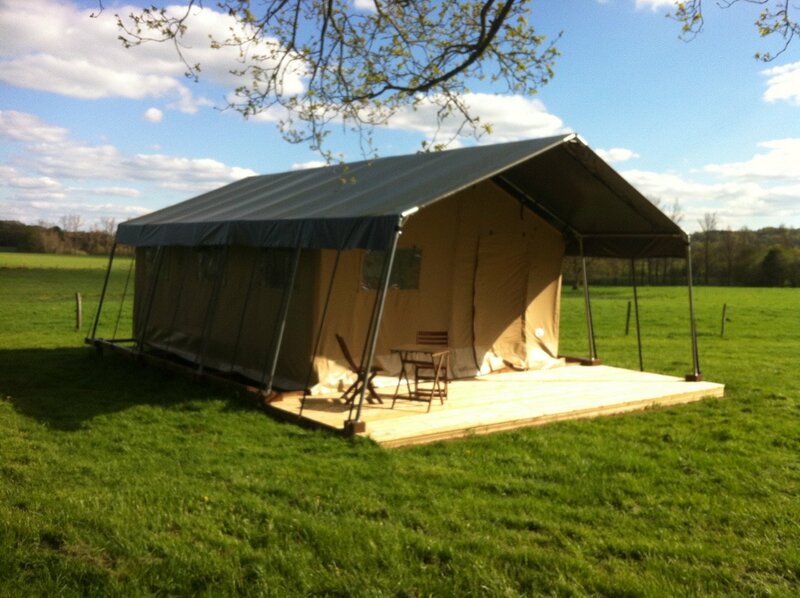 Where you can camp out in comfort under the stars in a safari tent or yurt. Where your children can play in the woods and fields, help round up the animals or watch a lamb or calf being born. Where you can swim, walk or cycle by day, and relax around the campfire savouring delicious French food and wine by night. Welcome to La Tuilerie, your dream holiday down on the farm. Nestled in the centre of rural France in an area of outstanding natural beauty, La Tuilerie is a 240 acre working farm run by English farmers, Hugh and Michael. We breed cows and sheep, have free-range chickens, and grow our own fruit and vegetables for you to enjoy. Surrounding our farm are acres of beautiful woodland, a haven for wildlife, everything from wild boar to deer, osprey to woodpeckers. So remember to pack your binoculars! There’s nothing to beat the romance and adventure of sleeping under canvas in a warm and cosy safari-tent or a yurt. Carefully positioned in a pretty south-facing meadow, our two yurts and two safari-tents have their own individual firepits and cooking facilities so you can get the true camping experience. A stone’s throw away in an old renovated farmhouse, you’ll have the luxury of your own private toilet and shower, and a communal cooking and dining area. With Limousin Farm Holidays as your host, you can be as active (or inactive) as you want. Take a walk; there’s lots of countryside to explore on foot. Or you could borrow bikes from us and take in the many picturesque villages and hamlets that surround the farm. If you just want to catch up on your reading you could spend a lazy day swimming and sunbathing. Our new nine metre heated pool is perfect for cooling off on hot summer days. Go further afield and you’ll discover many stunning lakeside beaches and beauty spots as well as a wide choice of other outdoor and cultural activities. 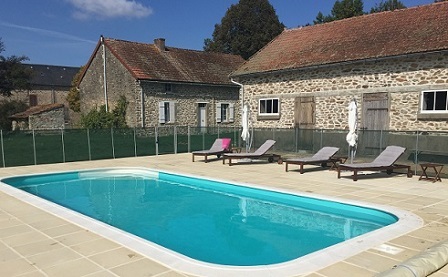 If you’re a food lover, you’re in for a treat with Limousin Farm Holidays. We’re passionate about good quality, home-grown, farm-reared food. In La Tuilerie’s kitchen garden we grow a wide range of vegetables and fruits which you can buy from us (along with our tender lamb and free-range eggs). And to experience French cooking at its very best, during your stay you have the opportunity to join us for a ‘table d’hôte’ dinner, a mouth-watering meal made from our own succulent meat and fresh vegetables.